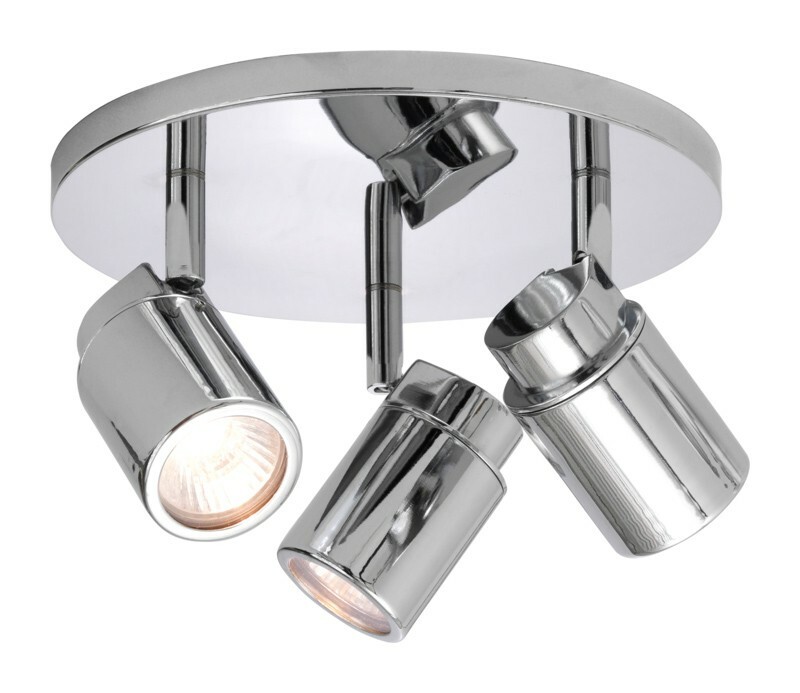 This fresh, current three lightround bathroom spotlight features a polished chrome finish which is durable enough to withstand the harsh heat and humidity of your bathroom or powder room. This bathroom spotlight utilises 3 x 35 watt GU10 lamps which perfectly illuminates your entire bathroom or kitchen in the truest of white light. If you're looking for a sleek, modern light fixture¬†that can be¬†situated on either the wall or ceiling then this bathroom¬†spotlight is perfect for you.